Earlier, we looked at the 1960-1961 Sunday night schedules from ABC and CBS. As I mentioned in those pieces, ABC’s lineup was focused on celebrating America’s legendary past, and CBS’s was full of shows that ran for decades. So how could NBC compete? The night opened with The Shirley Temple Show. The series was geared towards children (the same audience as the films Temple made in the 1930s). The original title was Shirley Temple’s Storybook, and that’s exactly what it offered – live-action renditions of famous fairy tales and stories for kids. Programs offered this season (the show’s second and last) included The Little Mermaid, King Midas, Madeline, and Winnie-the-Pooh (featuring the puppets of Bil and Cora Baird), among many others. Shirley Temple was heavily promoted, but it never made much of an impression on audiences. The sets and makeups were criticized as being cheap looking, and many of the stories were ill-suited for live-action. The biggest problem, though, was that Temple wasn’t a little girl anymore – she was 32 years old. She remained a child in the national consciousness, and viewers had little interest in watching her as an adult. That remains true to this day, as evidenced by the cover of the DVD release of this series. Shirley Temple was followed by a show about an actual young girl, National Velvet. Like the 1944 movie starring Elizabeth Taylor, the series is about a 12-year-old girl named Velvet (here played by Lori Martin) living on a farm and caring for her prize stallion. The show ran for two seasons, but is most notable for featuring guest appearances from seemingly every Western character actor of the era (Parley Baer, Hal Smith, Jack Elam, Edgar Buchanan, Denver Pyle, and so on.) In any case, it failed to leave the same mark on pop culture as its inspiration did. While the first two shows tried to cash in on nostalgia, the third starred someone still in the prime of his career (or close to it, anyway). When The Tab Hunter Show premiered, the titular star was only two years removed from his biggest success, Damn Yankees. His decision to do television came about largely due to his failure to land the role of Tony in West Side Story, but it was still a big deal at the time. 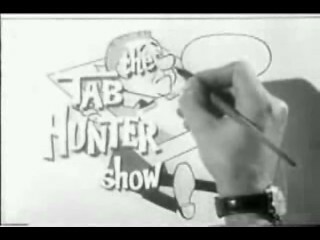 The show starred Hunter as a cartoonist whose strip was based on his own adventures as a Florida ladies’ man. It also featured Richard Erdman (Greendale’s very own Leonard) as Hunter’s best friend. 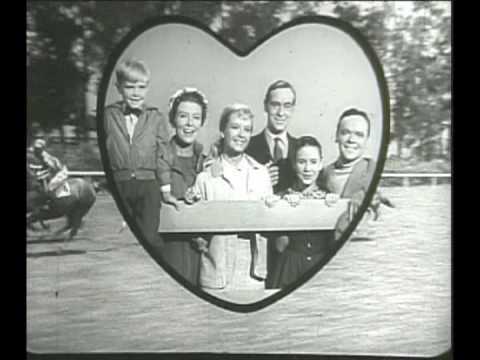 The show’s debut was marred by controversy when Hunter was arrested for beating his dog in July 1960. The charges were later dropped – they were the fabrications of a spiteful neighbor – but they certainly helped remove whatever was left of Hunter’s movie star luster. The show lasted only a single season opposite the Ed Sullivan juggernaut, and was quickly forgotten about. While TV failed to extend Tab Hunter’s career, it did wonders for Dinah Shore. She had been a popular big band singer beginning in the 1940s, but her fame increased greatly after she started hosting a 15-minute live series sponsored by Chevrolet in 1951. She proved to be so winning that she was given an hour-long slot beginning in 1956. The show was a typical variety show of the period, offering a mixture of musical (in a variety of pre-rock-‘n-roll styles) and comedic acts. The season’s second episode, for example, featured Nat King Cole, Red Skelton, and Tuesday Weld, along with regular house act Harry Zimmerman and his Orchestra. With her laid-back Southern charisma, Shore was a welcoming presence for viewers, and she gained a loyal following. 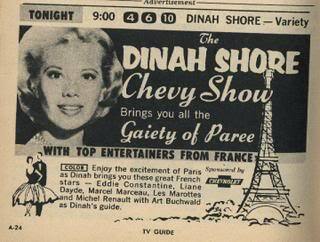 This show ended after a seven-year run, but Shore remained a fixture on TV through the 1970s, hosting two daytime talk shows – the 30-minute Dinah’s Place (1970-1974) on NBC and later the 90-minute, syndicated Dinah! (1974-1980). As we’ve discussed, NBC gambled on a lot of over-the-hill stars in this lineup, but Shore was the one who paid off big. She was a natural on television, and she spent decades proving it. 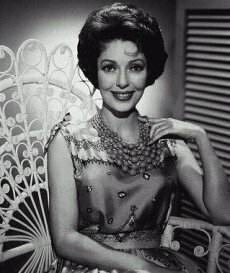 Loretta Young was less exciting as a TV personality, despite NBC’s initial expectations. Young, who had won a Best Actress Oscar for 1947’s The Farmer’s Daughter (which later became a TV series itself), received a great deal of publicity when she came to television in 1953. She was originally slated to star in every episode of her self-titled anthology series, but health concerns caused her to cut back starting in the second season. 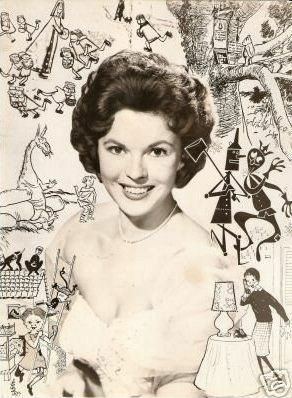 She still starred in about half of the episodes (and served as host for all of them), but the bulk of the show’s promotion was dedicated to the guest stars. In its heyday, the show attracted former movie stars like Barbara Stanwyck, Rosalind Russell, and Merle Oberon. By this year (the show’s 8th and final season), it wasn’t drawing those kinds of names anymore, although it did feature work from up-and-comers including Cloris Leachman, Ricardo Montalban, Charles Bronson, and Ellen Burstyn. 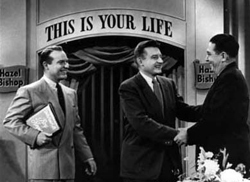 Like The Loretta Young Show, 1960-1961 was also the final season for This is Your Life. Of all the night’s shows, Life was most concerned with presenting marquee talent. Each week, a notable person was surprised by host Ralph Edwards, who brought in that person’s family and friends to recount stories and generally talk about how great the guest of honor was. The appeal of the show came simply in watching a famous person react to various events from his or her own life. It was a chance to see the stars behave like regular people, at least in theory. By 1960, that just wasn’t as exciting as it had been when the show debuted in 1952. In general, NBC’s “We’ve got celebrities!” tactic didn’t work anymore. Not a single one of these shows was in the top 30 for the year – no one wanted to watch people simply being famous. Not when they could watch Ed Sullivan, Candid Camera, and a bunch of Westerns instead.